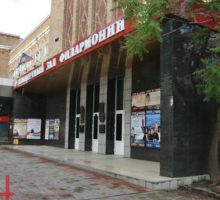 The program of the forthcoming 85th anniversary season of Donetsk State Philharmonic Hall named after Sergei Prokofiev, will include about 150 concerts, the Head of the Hall announced yesterday at a press conference in Donetsk News Agency. 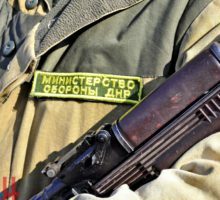 Ukrainian military tried to break through in Debaltsevo area during the morning and advanced four kilometers into Donetsk People’s Republic territory in the direction of Logvinovo village near Debaltsevo as a result, DPR Defense Ministry informed Donetsk News Agency. Ukrainian army was forced to return back to its original positions. Recently a humanitarian cargo from teachers and students of Bakal town school №9, Chelyabinsk region of Russia, arrived to students of Makeevka school №7, Donetsk People’s Republic, as a part of the program “Children of Russia to Children of Donbass“. The boxes contained pens, pencils, marker pens, personal hygiene products and household detergents. Kids of Makeevka thank the children of Bakal for such help and aid. Thank you to everyone who makes a difference! 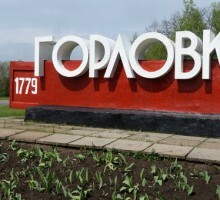 During the past night, the Ukrainian military fired 347 mortar and artillery shells at the outskirts of Donetsk city, Gorlovka, Yasinovataya, Dokuchaevsk towns, and south of the Donetsk People’s Republic (DPR), a source in the DPR Defense Ministry informed Donetsk News Agency on June 29. 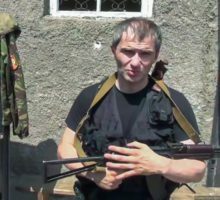 Koba in DPR. Summer 2014. In mid-June 2014 I already made the final decision to go to Donetsk. It was already visible that a major war is starting there and it was getting harder to watch at this from the sidelines. My friends from Ossetia already actively participated in combat in “Vostok” battalion, the ill-fated storm of the airport already happened. The attention of the public was already drawn to Slavyansk. The “Russian Spring” was expanding and it seemed that we only need to wait a little longer and another part of Ukraine will repeat the fate of Crimea. The society was in lifted spirits. The understanding that history is being made in Donetsk right now was growing. 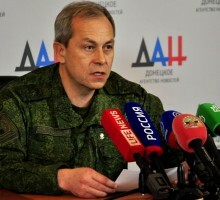 Two combat engineers of Donetsk People’s Republic were killed, eight were taken prisoner by Ukrainian militants in the area of the frontline Shyrokino village, DPR Deputy Operations Commander Eduard Basurin stated today during his daily briefing in Donetsk News Agency press-center. The Ukrainian side shelled a number of towns and villages of Donetsk People’s Republic (DPR). There are victims among the civilian population and the destruction of houses, ‘Essence of Time’ unit informed on their official page in the social networks in the evening of June 27th. Six houses, No. 47 on Popitko Street, No. 2 on Teatralnaya Street, No. 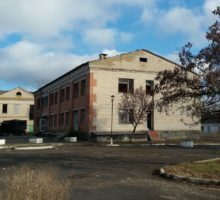 43, 64, 66, 68 on Fadeev Street, were damaged in Gorlovka city as a result of the overnight shelling by the Ukrainian military, a source in the Defense Ministry of Donetsk People’s Republic informed Donetsk News Agency. 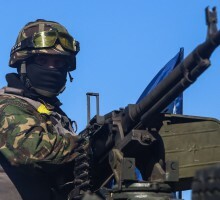 Seven servicemen of the Ukrainian army died in the explosion of the Ukrainian army vehicle, according to the Deputy Operations Commander of Donetsk People’s Republic (DPR) Eduard Basurin, Donetsk News Agency informed on June 26th. Two children, six- and seven-year old, died by stepping on power lines. The lines were damaged as a result of shelling of Kominternovo village in Novoazovsk region in southern Donetsk People’s Republic by Ukrainian military, Donetsk News Agency reports today citing the head of region Oleg Morgun. One of the children was playing football and stepped on the naked lines.